March 2011 issue on sale now! | What Hi-Fi? March 2011 issue on sale now! 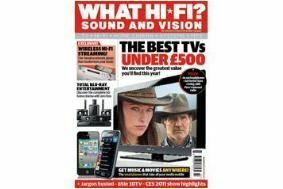 Last, and by no means least, we've got a truly amazing competition prize: five lucky winners will walk away with a Sonos S5 Wireless Music System, an iPad and six month subscription to Spotify. Just head on over to our competition page to enter. Good luck!